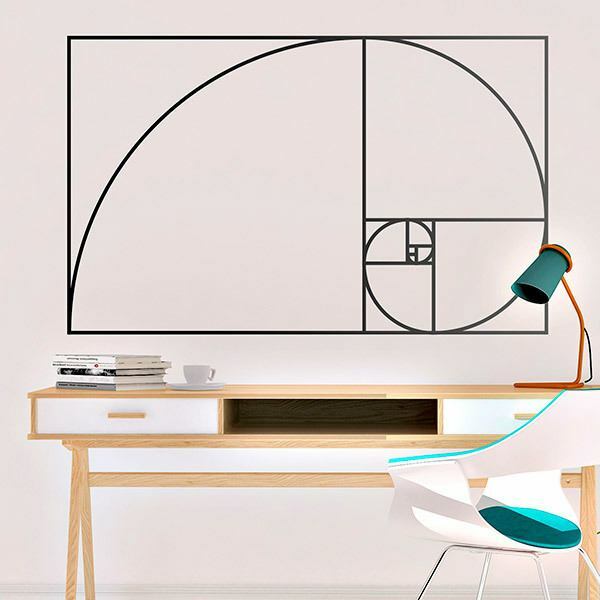 Wall mural Fibonacci Spiral. Design based on the succession of Fibonacci, in mathematics it is an infinite succession with natural numbers. Described by Leonardo de Pisa, each term is the sum of the previous two. 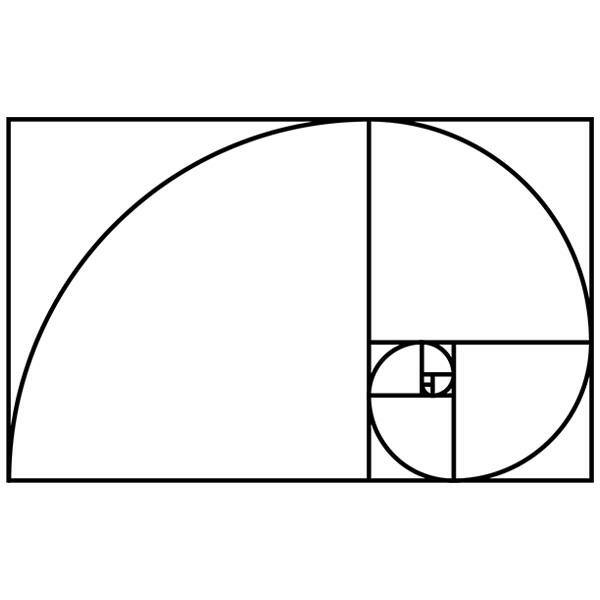 The golden spiral is generated with respect to the values of the succession. 30 x 18 cm. 40 x 24 cm. 50 x 31 cm. 60 x 37 cm. 70 x 43 cm. 80 x 49 cm. 90 x 56 cm. 100 x 62 cm. 110 x 68 cm. 120 x 74 cm. 130 x 80 cm. 140 x 87 cm. 150 x 93 cm. 160 x 99 cm. 170 x 105 cm. 180 x 112 cm. 185 x 115 cm.